EasyCart registration and activation is a simple process of entering your name, email, and transaction key received when purchased. This registration process will unlock all the features our software has to offer. 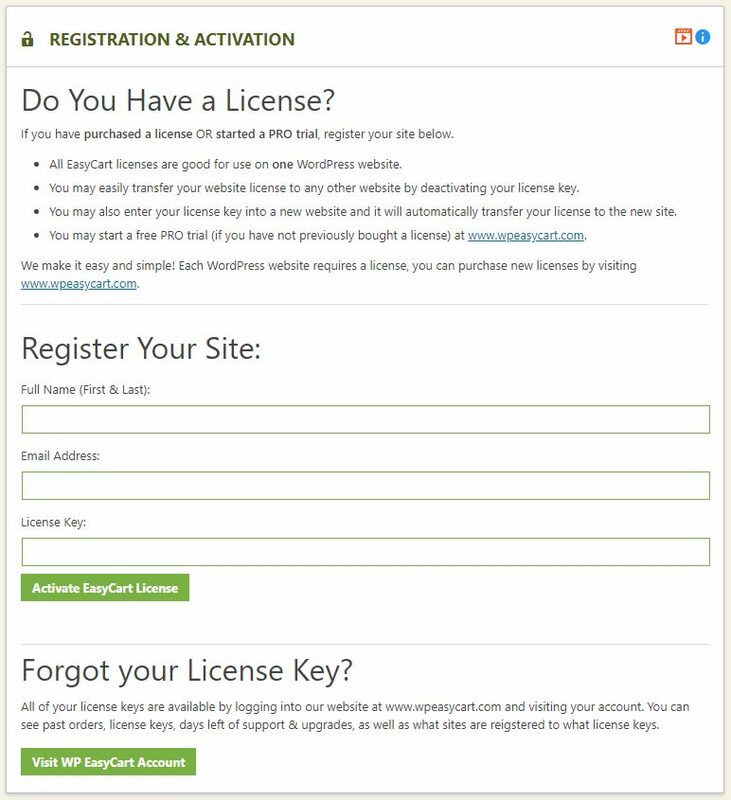 To register your license, simply enter your first & last name, email, and transaction key. This will unlock your software and start calculating your active support & upgrade days based on your account. 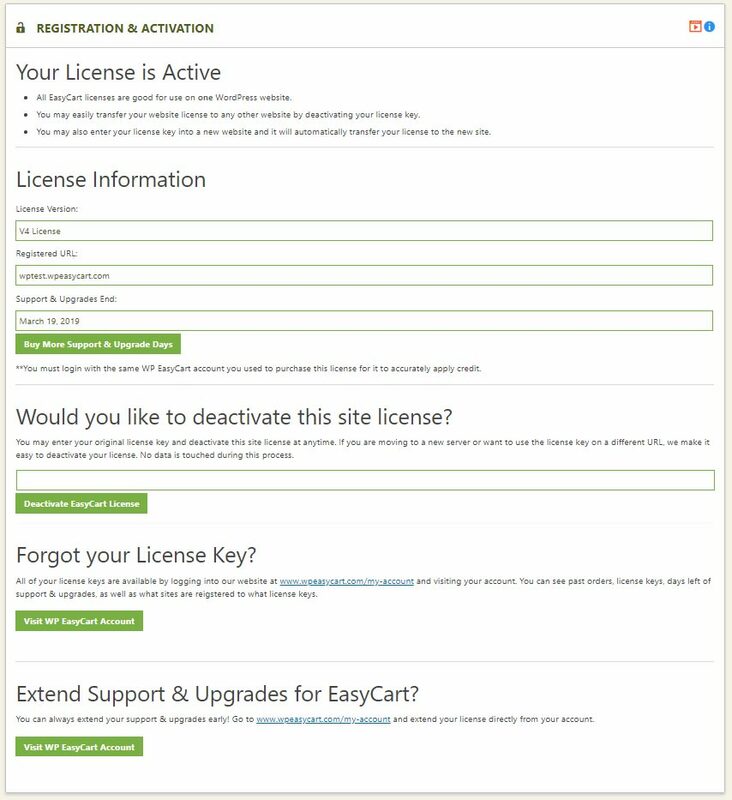 **Note: To find your transaction key, support days, or other important license information, you can log into www.wpeasycart.com -> My Account. Once registered, you can always check your active support & upgrade status attached with this account by viewing your registration data. You may also log into your account at www.wpeasycart.com -> My Account to view the same data. If you wish to deactivate and free up your transaction key, you may enter it here and deactivate. This process will NOT touch your data in anyway. All data is stored on your website, nothing is stored on EasyCart. Another option to deactivate or transfer a license is simply enter your transaction key into a different website and it will automatically deactivate any other sites and activate the new one… so transfers are simple.